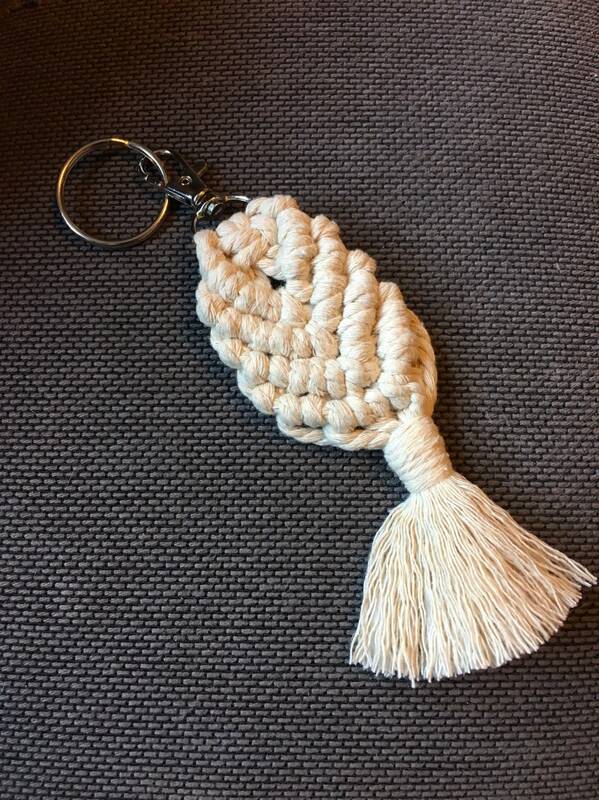 I hand knot these key chains from %100 organic cotton. 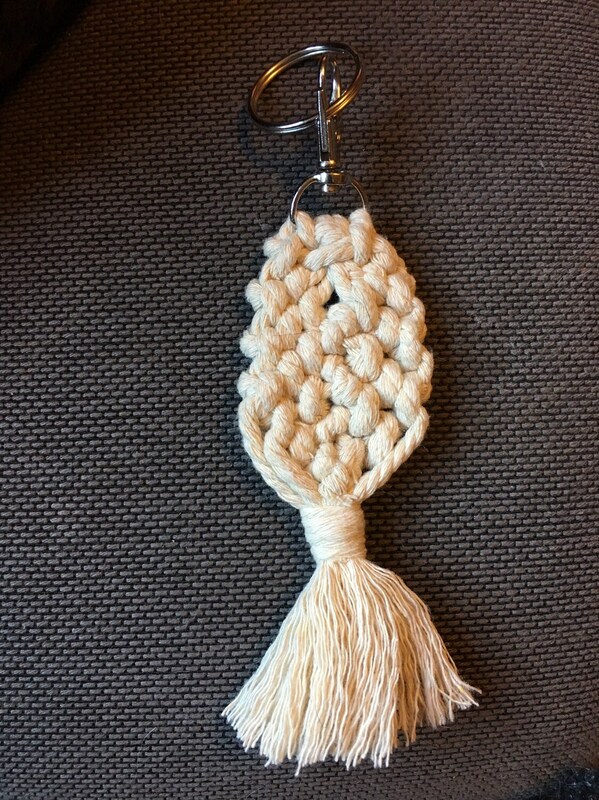 Approximately 7” long from ring to tassel . Each piece is hand made and therefore will slightly unique.